How to Write the Story Midpoint | Stavros Halvatzis Ph.D. Although much has been written about the story midpoint, not least in this blog, it is a crucial structural element in a story that deserves revisiting. The middle of a story is the point in which the Hero makes an important decision: He can choose to turn back from the path he has been following, or press on with renewed insight—stemming from an event that has caused him to reassess his approach to it. In my newest novella, Before the Light, about A.I. and the origin of the universe, the midpoint occurs when the protagonist, Sam Yeager, decides how best to proceed against the plot to destroy the quantum computer he helped to program. Unlike the first or second turning point, the midpoint does not necessarily involve a huge climax or action scene. Cause him learn something new about his innermost self. 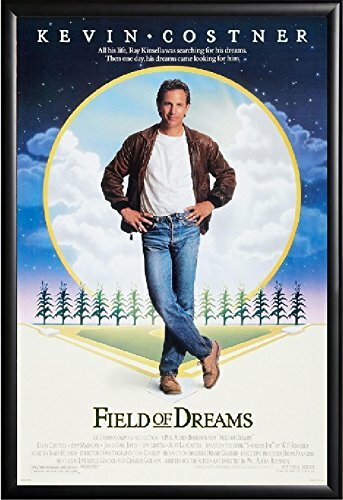 In Field of Dreams, the midpoint occurs at the baseball game with Terence Mann, when Ray notices the sign about Archibald ‘Doc’ Graham, then hears, once more, the voice saying ‘Go the distance’. In The Crying Game, the midpoint occurs when Fergus uncovers Dill’s physical secret. In both cases, there is a strong inner, or, psychological aspect to the midpoint. Typically, the midpoint changes a crucial aspect in the Hero’s inner life that impacts on his outer life: if he was not in control, he seizes control, if he was uncommitted, he becomes committed, if he was a victim, he decides to hit back, if he was hunted, he becomes the hunter, if he was delusional, he starts to deal with reality, if he was defeated by the goal, he begins a new struggle to achieve it. In this sense, then, the midpoint brings the inner and outer journeys together by fusing self-illumination to a plan of action, which leads him to achieve the story goal. The story midpoint is not only the half-way point of the story in terms of length, it is also the moment in which the Hero reassesses his situation, regathers his strengthen and resources, and presses on with renewed insight and wisdom. This entry was posted in On Character, Story Design and tagged amwriting, iman1, novel, novelist, screenwriter, story midpoint, writer, writetip on November 18, 2018 by Stavros Halvatzis. Great read. What is important to mention about the midpoint is that it is very similar to inciting incident. The moment before the rest of the story can unfold and the fun and games begin. In short : How different is the midpoint from the inciting incident and which one must occur first in the story. Or in some cases – can a midpoint and inciting incident be one and the same. Interesting Gerhard, but the midpoint can not occur before the inciting incident. If so, it’s something else, not a midpoint. Maybe we need a new name for that structural instance!